Attics are often one of the most tucked-away areas of any given home or workplace – they’re overlooked storage spaces that never really receive a proper cleaning. However, neglecting to clean and properly ventilate your attic can have dire consequences! You probably don’t realize the attic contains some of your home’s most important components, like portions of your air duct system and a lot of your home’s insulation. If moisture is building up in your attic, in can be seriously detrimental to your home’s air quality, your attic’s structure and attic insulation, your air ductwork, and equipment over time. An attic moisture or attic mold issue can go unnoticed for a long period of time. Taking corrective action immediately is important. AdvantaClean’s attic moisture and attic mold experts will be able to diagnose the source of the moisture in your attic and provide the best solutions to stop mold growth in its tracks! WHAT CAUSES Stamford ATTIC MOISTURE? Dryer vents, plumbing vents, kitchen vents and bathroom vents should always be exhausted to the exterior of the building, not into the attic. If these vents are not exhausted properly, moist, humid air is directly deposited into the attic, raising the attic moisture levels--potentially leading to attic mold growth. In winter months, warm, moist air enters the attic from the living space below and clashes against the cool roof decking and framing, resulting in condensation or even interior frost in the attic. This repeated and sustained wetting of the wood encourages mold growth in the attic. Attic ventilation systems help control the attic moisture and temperature by exhausting the moist attic air, reducing the potential for condensation or frost in the attic. Do You have an Attic Moisture or Attic Mold Problem in Your Stamford Property? Call the Experts at Advantaclean today (203) 819-7077! Just like basements, attics contain important wiring, ductwork, plumbing, and insulation. Because of this, it’s crucial that these features be inspected regularly. Routine attic inspections can help ensure that you’re protected from poor air quality, and the illnesses that can result from unchecked mold growth in attics. AdvantaClean has been performing careful attic inspections for years, and our team is trained to be able to diagnose any sources of moisture and mold growth in your home or business. 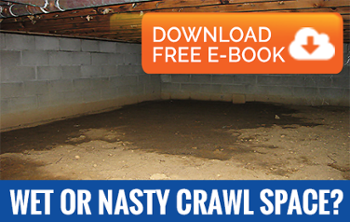 Dirty attic vents and improper attic insulation pose a plethora of safety-related issues. It’s important to deep clean your attic on a fairly regular cycle – which can be a difficult thing to do on a non-professional basis, considering the amount of important wiring and insulation. AdvantaClean offers a professional attic cleaning service for both home and business owners – we guarantee the 100% removal of all debris, old wiring and insulation, and potentially harmful collections of moisture and mold. As the highest level of the home, attics tend to collect a lot of heat, particularly during the summer months. In addition, attics can suffer tremendously from mold-related issues, since these areas are susceptible to water invasion via roofs, vents, and eaves. AdvantaClean is dedicated to properly weatherproofing your attic, improving your attic ventilation, and implementing any necessary corrective measures to help eradicate harmful moisture build-up. Call Today for your Stamford Attic Moisture Control Solution at (203) 819-7077 !